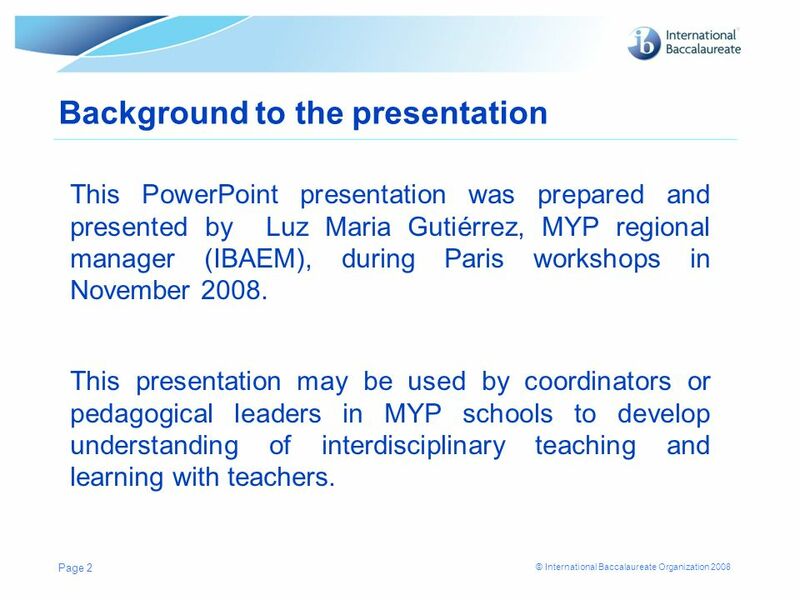 This PowerPoint presentation was prepared and presented by Luz Maria Gutiérrez, MYP regional manager (IBAEM), during Paris workshops in November This presentation may be used by coordinators or pedagogical leaders in MYP schools to develop understanding of interdisciplinary teaching and learning with teachers. 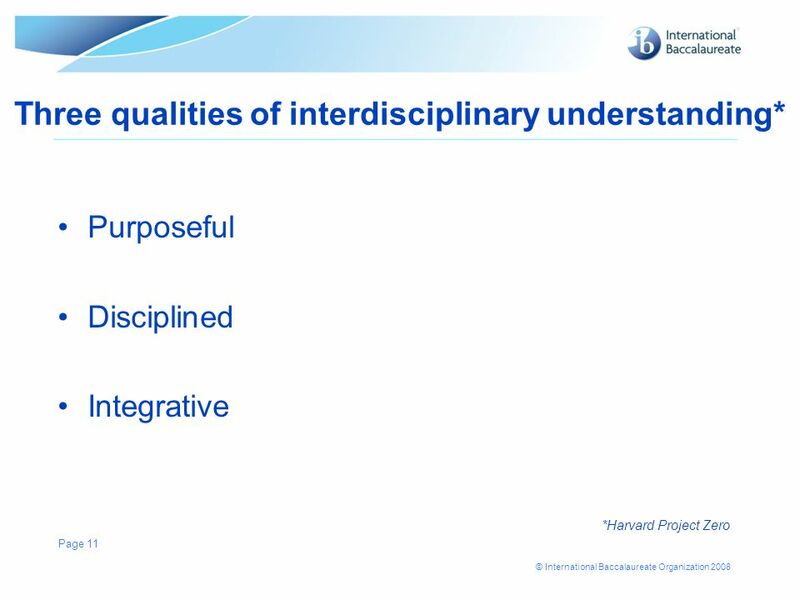 Do interdisciplinary units promote holistic learning? 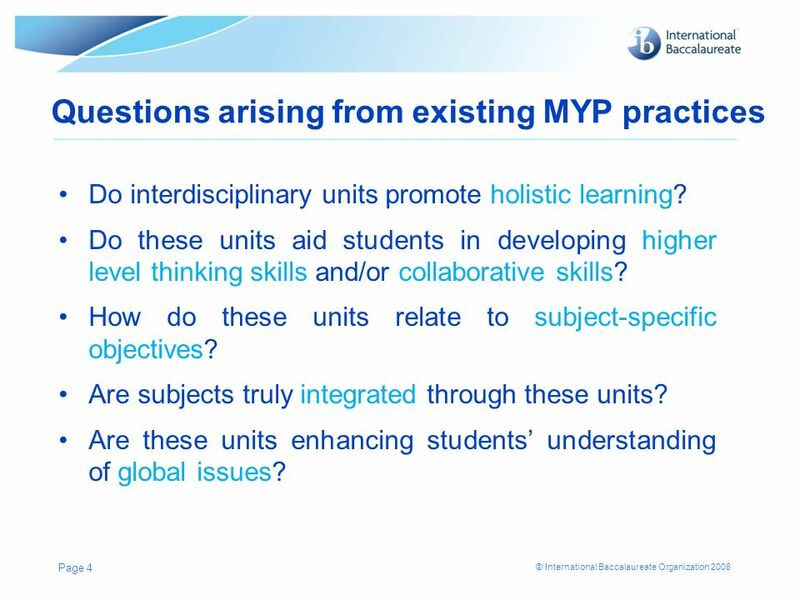 Do these units aid students in developing higher level thinking skills and/or collaborative skills? 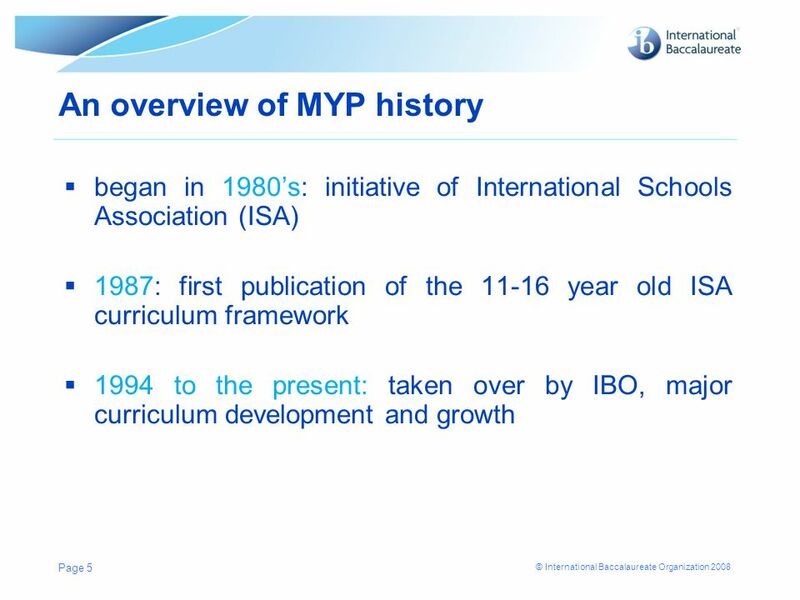 How do these units relate to subject-specific objectives? 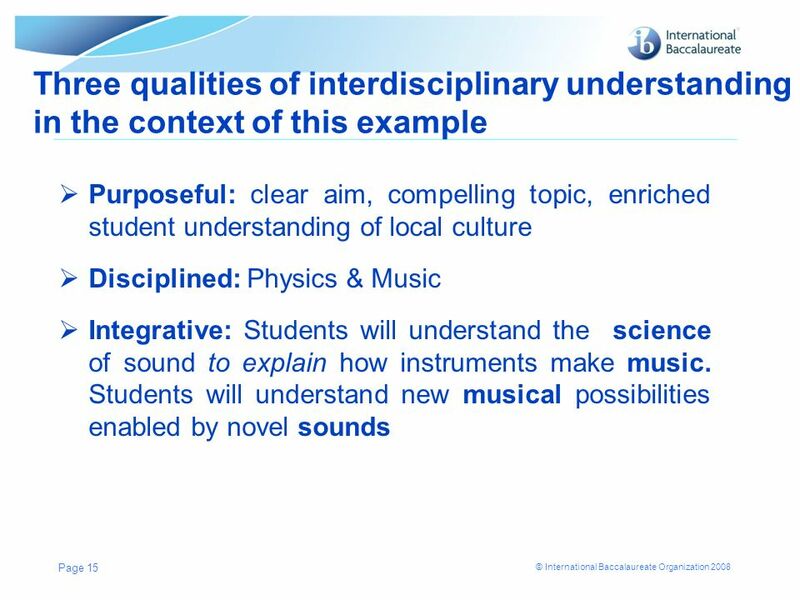 Are subjects truly integrated through these units? 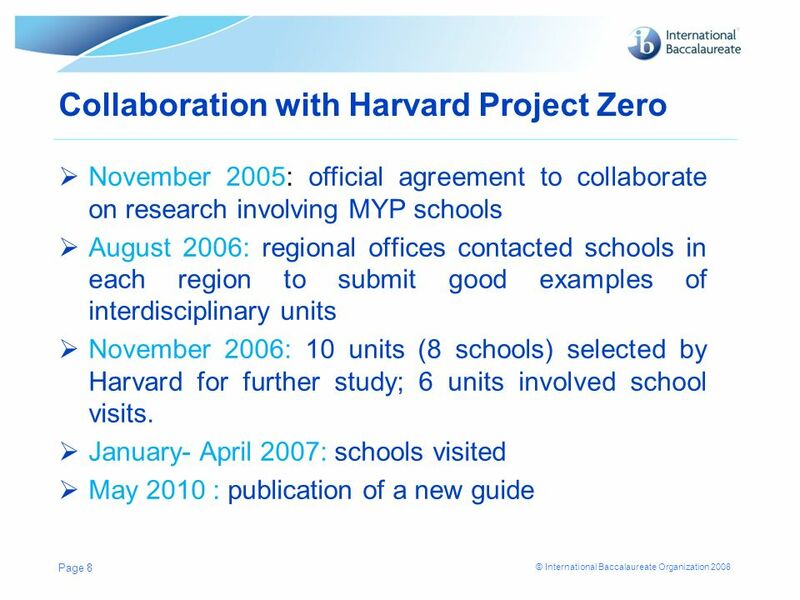 Are these units enhancing students’ understanding of global issues? 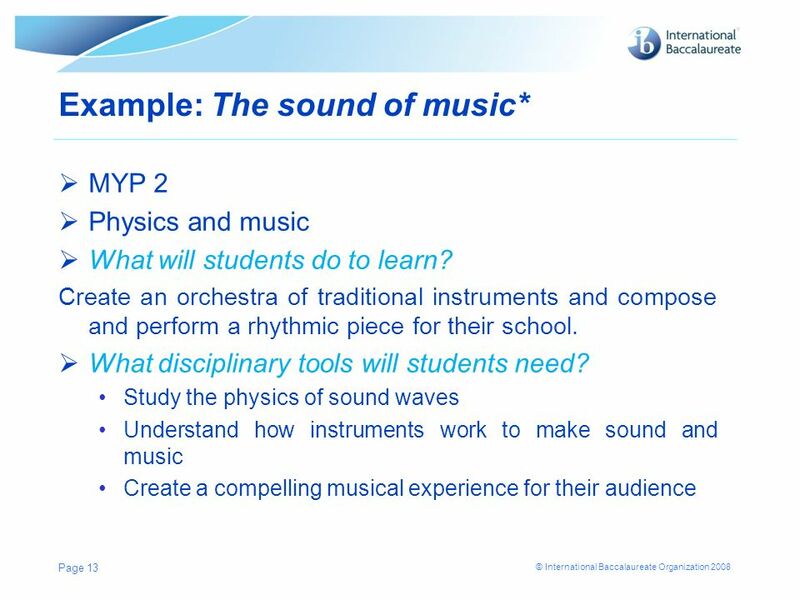 MYP 2 Physics and music What will students do to learn? Create an orchestra of traditional instruments and compose and perform a rhythmic piece for their school. 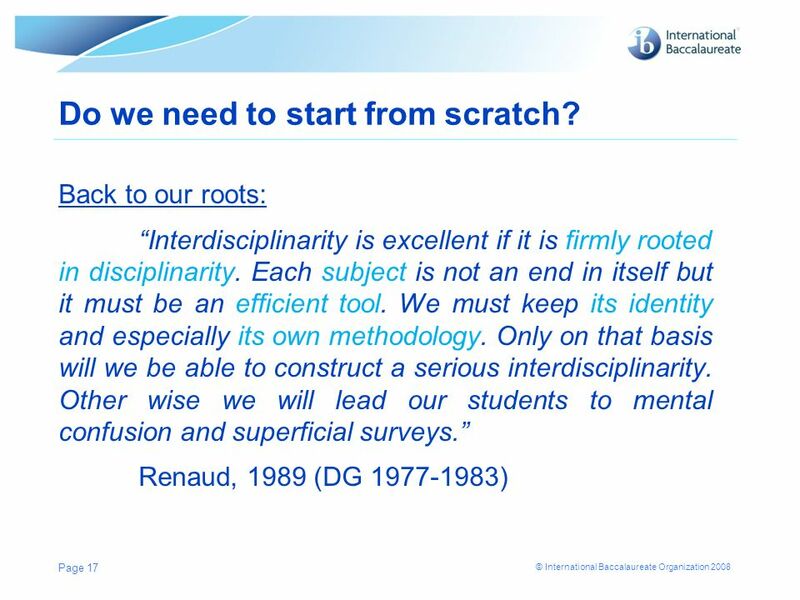 What disciplinary tools will students need? 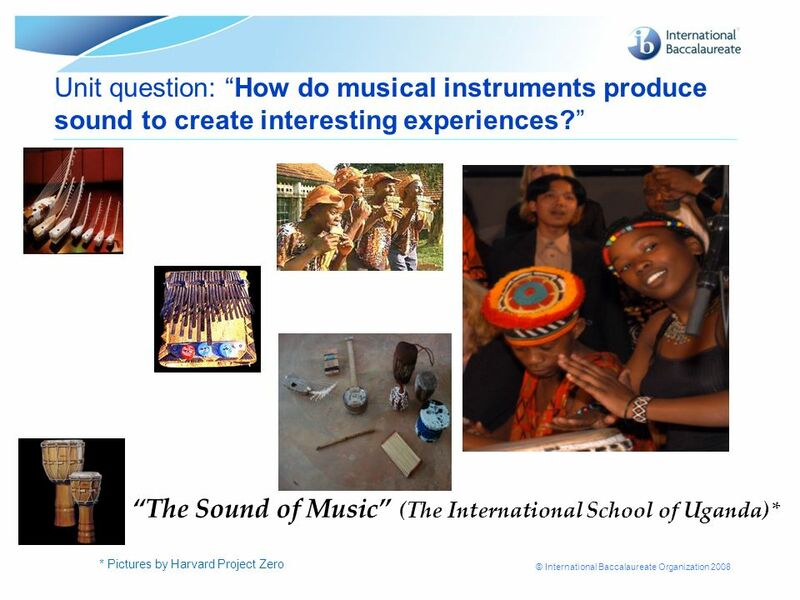 Study the physics of sound waves Understand how instruments work to make sound and music Create a compelling musical experience for their audience * The presenter shared this example from an MYP school which will be included in the new guide. 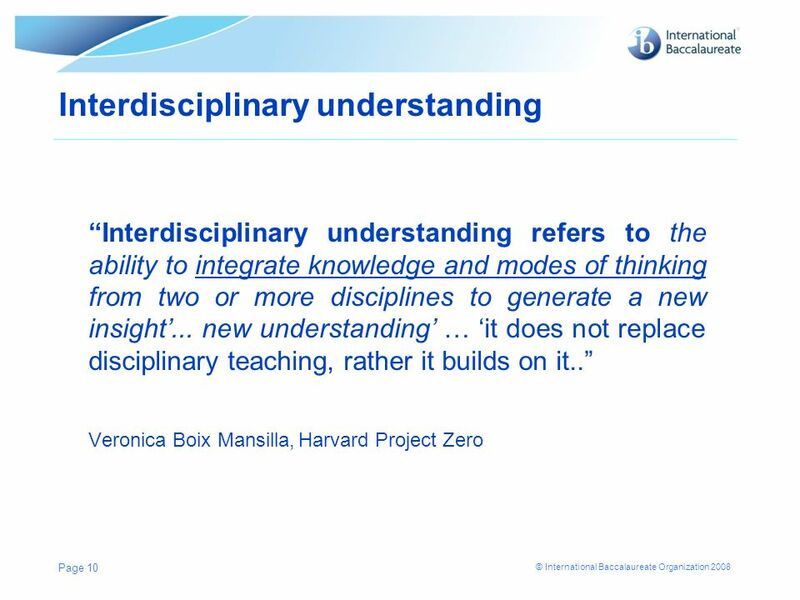 16 Why does interdisciplinary learning matter? 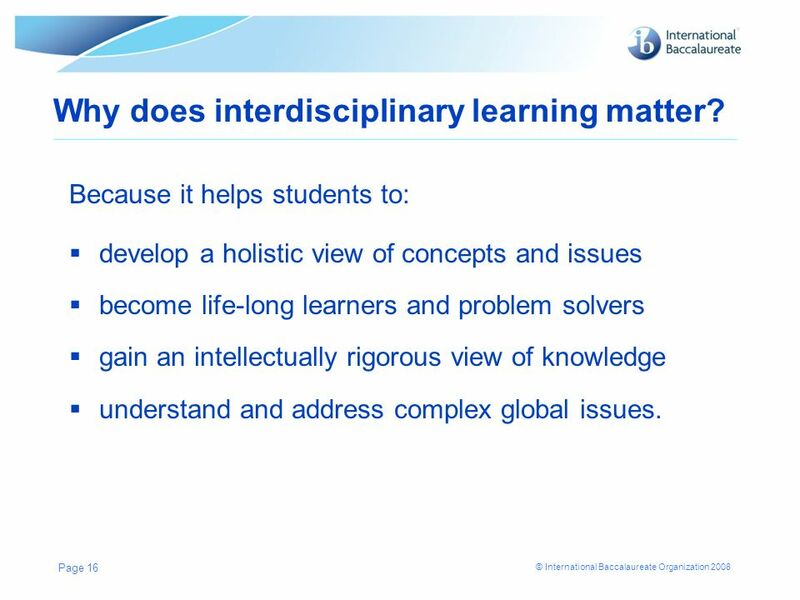 Because it helps students to: develop a holistic view of concepts and issues become life-long learners and problem solvers gain an intellectually rigorous view of knowledge understand and address complex global issues. 17 Do we need to start from scratch? 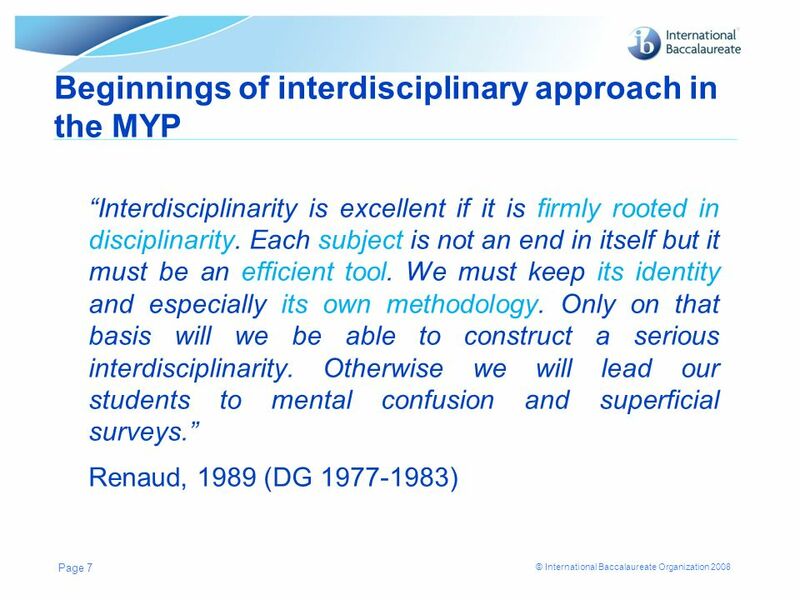 Veronica Boix Mansilla, Dan Dillon, & Kaley Middlebrooks, “Building Bridges Across Disciplines: Organizational and Individual Qualities of Exemplary Interdisciplinary Work” (2000). 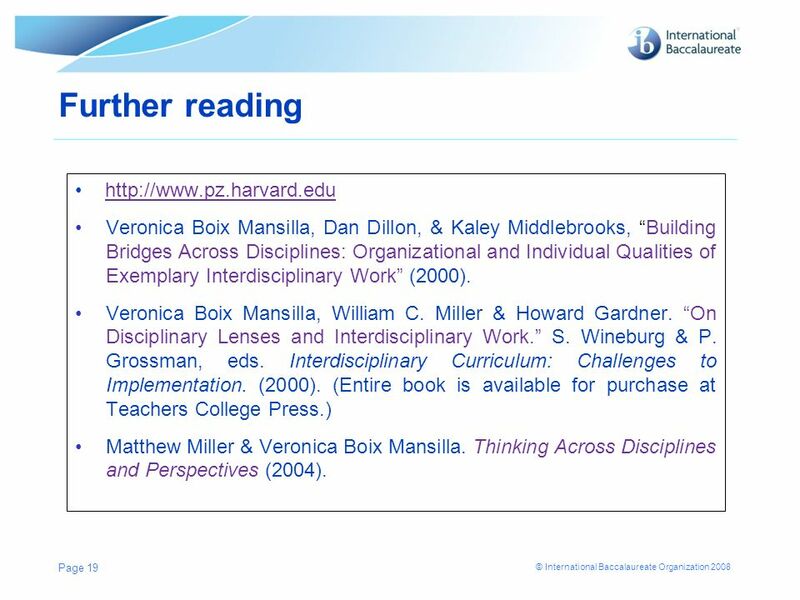 Veronica Boix Mansilla, William C. Miller & Howard Gardner. 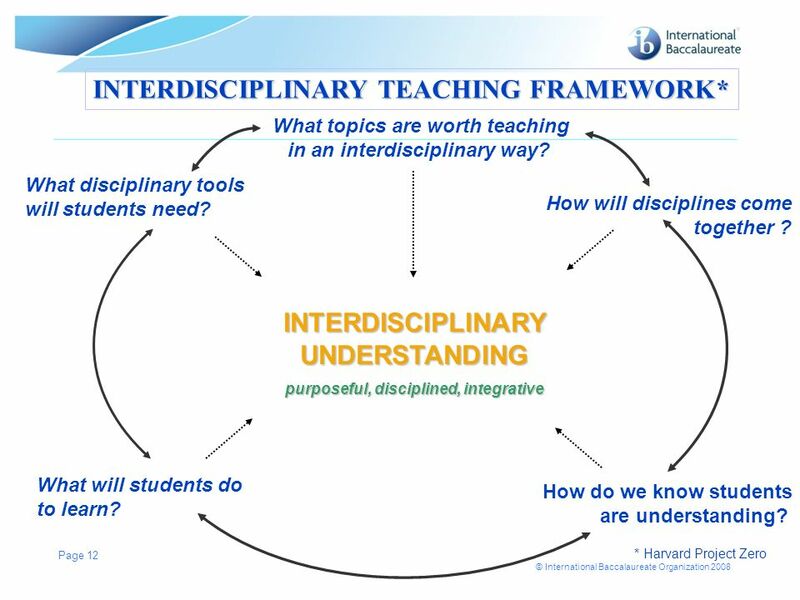 “On Disciplinary Lenses and Interdisciplinary Work.” S. Wineburg & P. Grossman, eds. 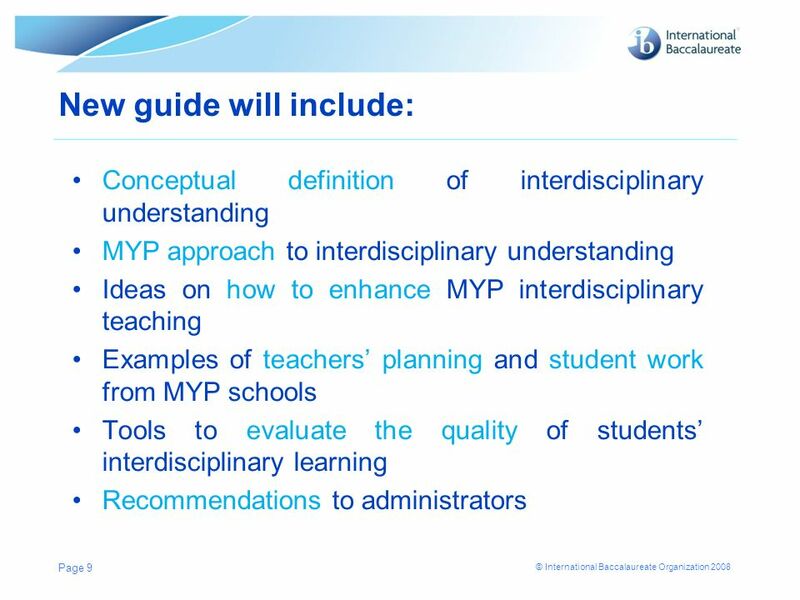 Interdisciplinary Curriculum: Challenges to Implementation. (2000). (Entire book is available for purchase at Teachers College Press.) Matthew Miller & Veronica Boix Mansilla. 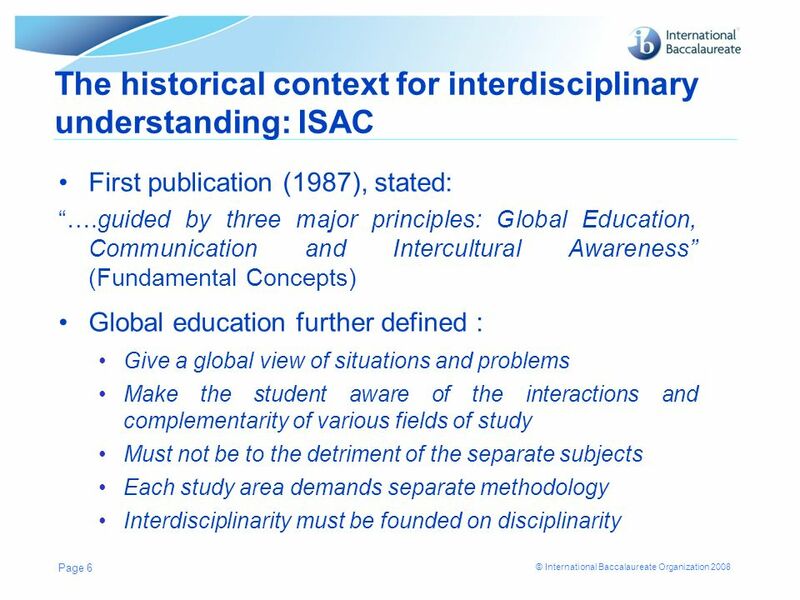 Thinking Across Disciplines and Perspectives (2004). 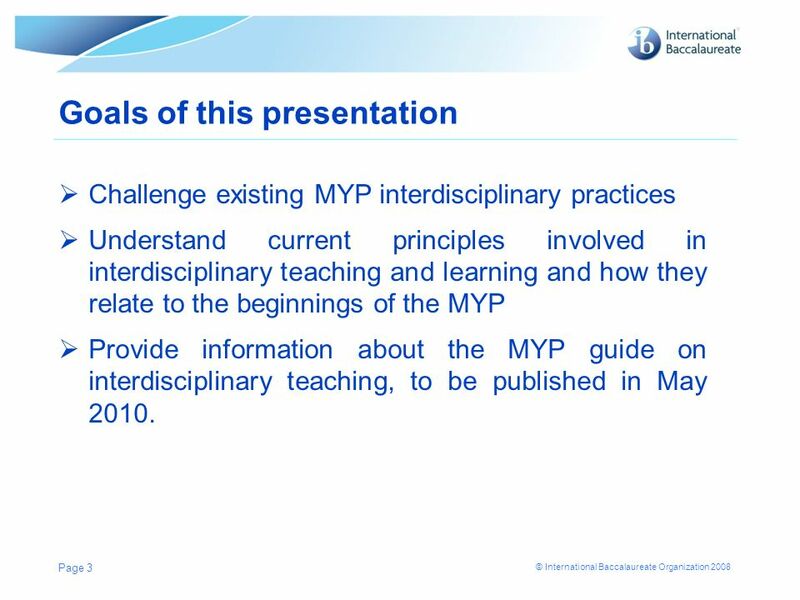 Download ppt "Developing interdisciplinary understanding for MYP teachers"
1 Assessing and Giving Feedback. 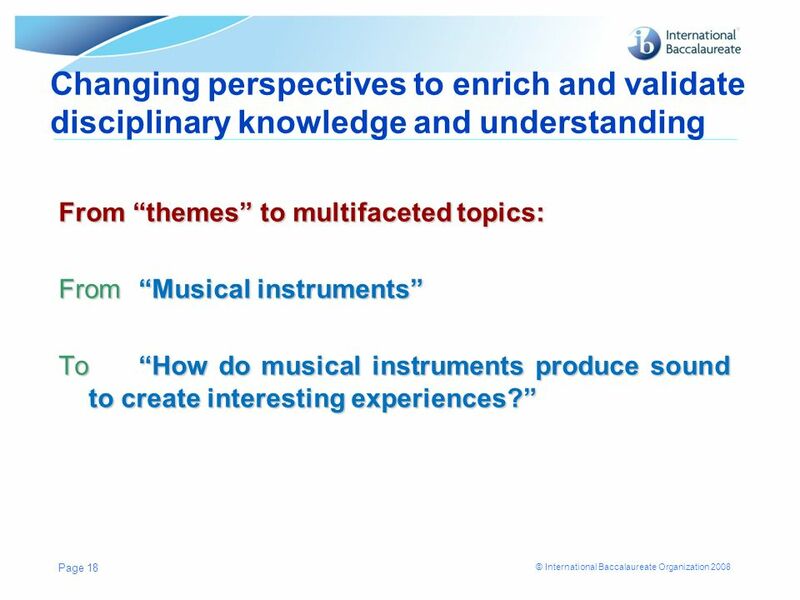 2 Learning Outcomes By the end of the session, participants should be able to: Identify the purposes and use of different. 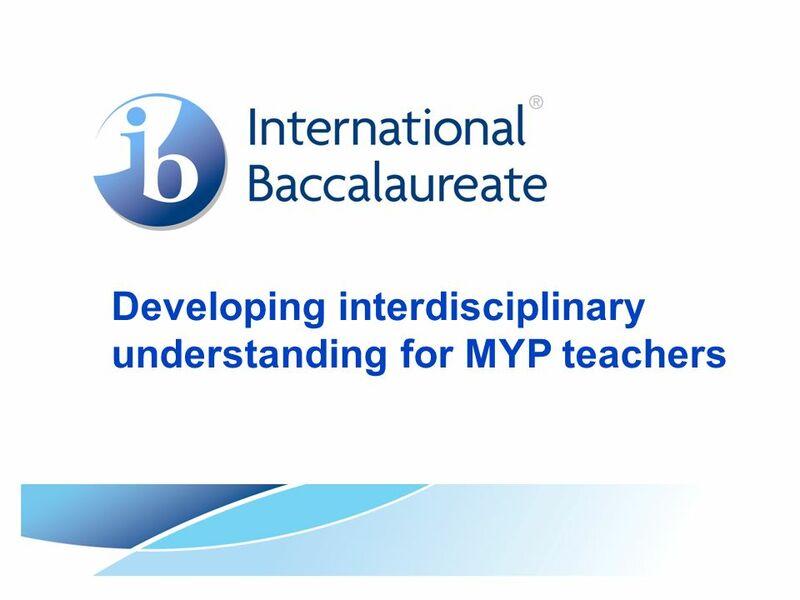 IB- PYP PRESENTATION September 12, The Learning Portrait As you may or may not know, Coppell ISD is one of 20 districts across the state belonging. MANDATE WORKING GROUP: DRAFT REPORT PRESENTED TO SENATE APRIL 27, 2012.